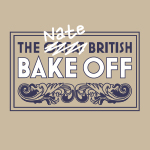 This is another delicious recipe from Nick Malgieri’s book ‘Bake!’. It was very well received at yesterday’s picnic. In a large mixing bowl, whisk the yeast into the water. Wait 2 minutes and whisk again making sure the yeast is completely dissolved and then whisk in the oil. Use a large rubber spatula to stir half of the mixture into the liquid. Stir in the remaining flour mixture and dig and fold until there is no dry flour on the bowl and everything is mixed together. Beat the dough vigorously for about 15 seconds. Cover the bowl with clingfilm and let the dough rise for an hour until doubled in size. Once inflated, press the dough on to a lightly oiled baking tray. spread it out gently so as not to deflate too much. 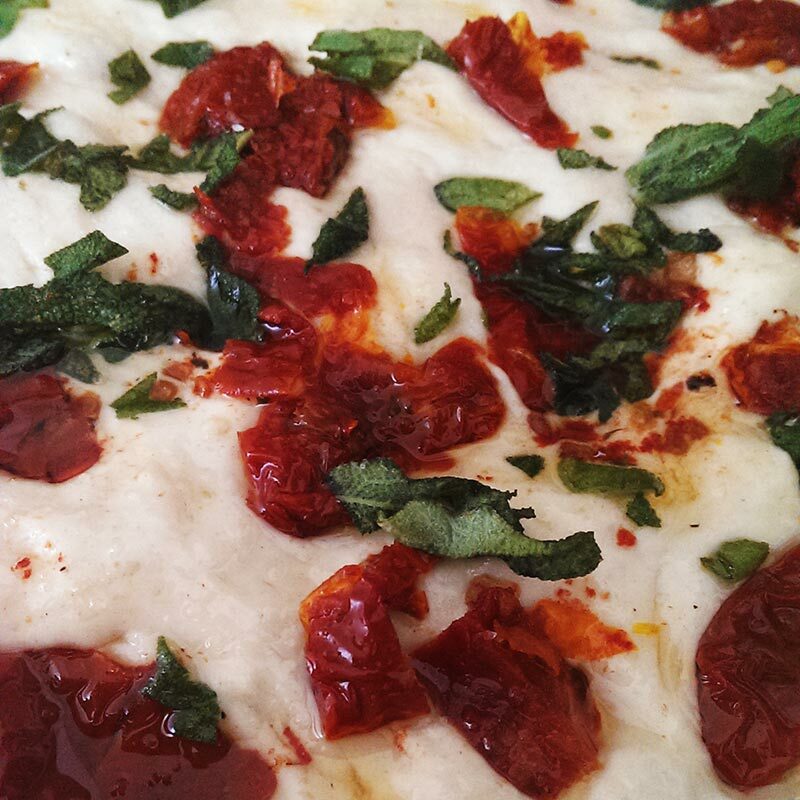 Once the dough is pressed into the corners of the tin, cover and let it rest for 30 minutes. Set a rack in the bottom of the fan-assisted oven and set the temperature to about 200c. 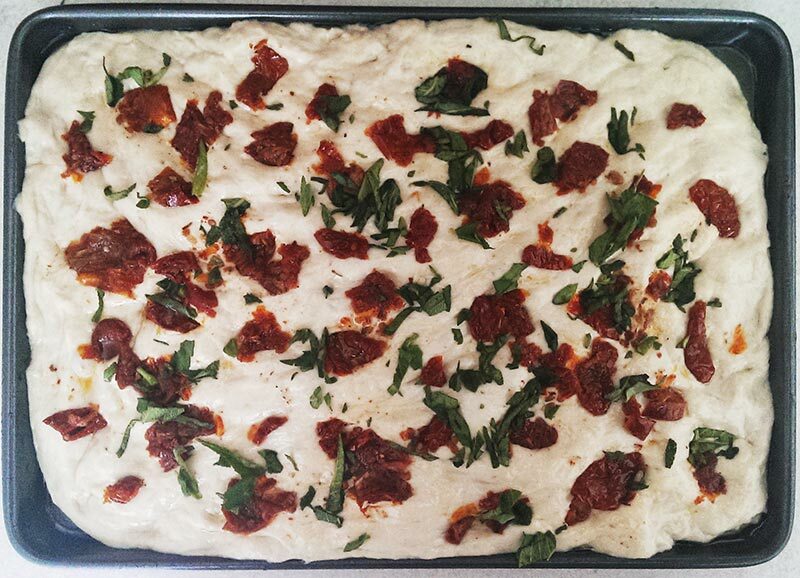 When the dough has risen, press chopped sundried tomatoes and sage into the dough with a 3cm gap around them until it is covered fairly evenly. 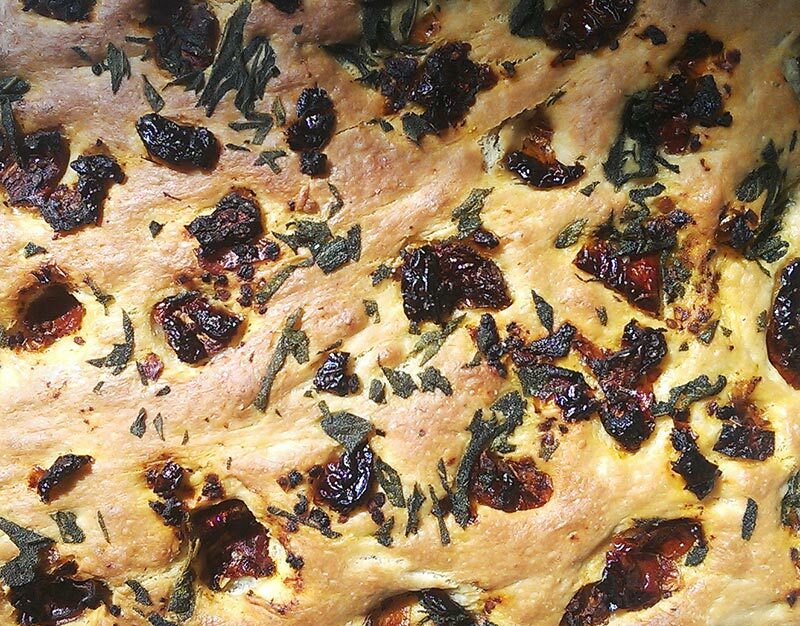 Place the focaccia in the oven and bake for about 30 minutes until golden. 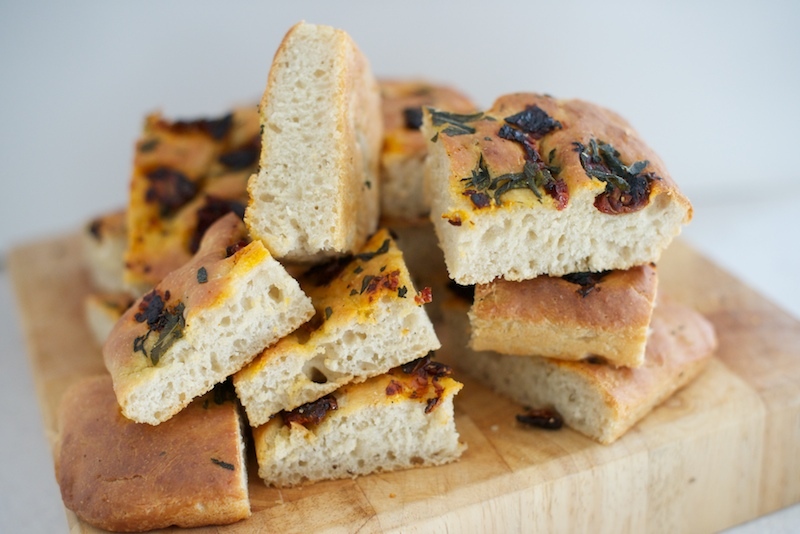 Slide the focaccia onto a cooling rack so the bottom doesn’t dampen. 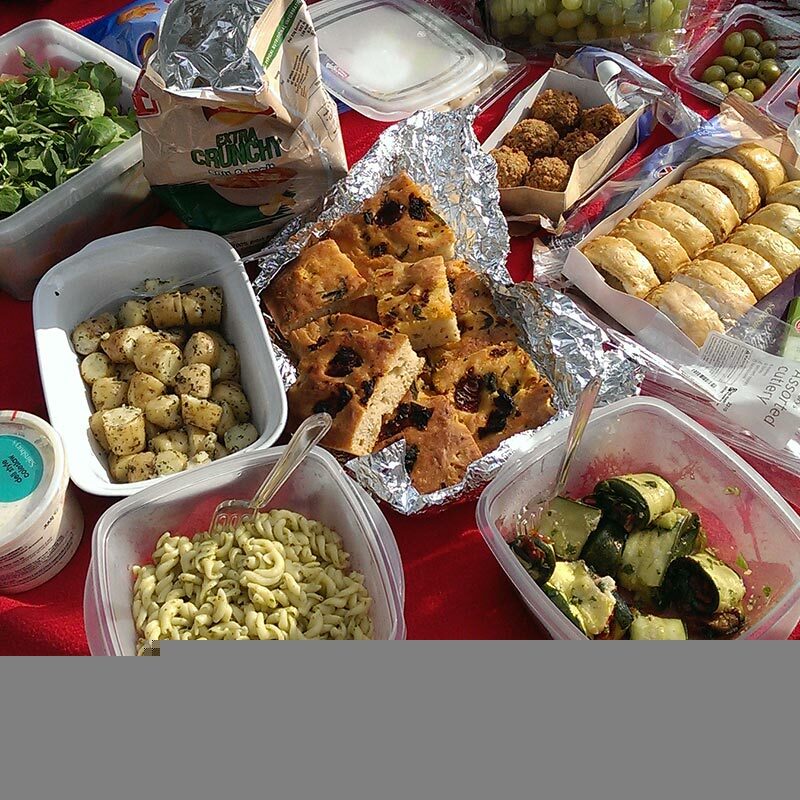 Once cool, divide up evenly and enjoy as part of a picnic in the sun like we did! 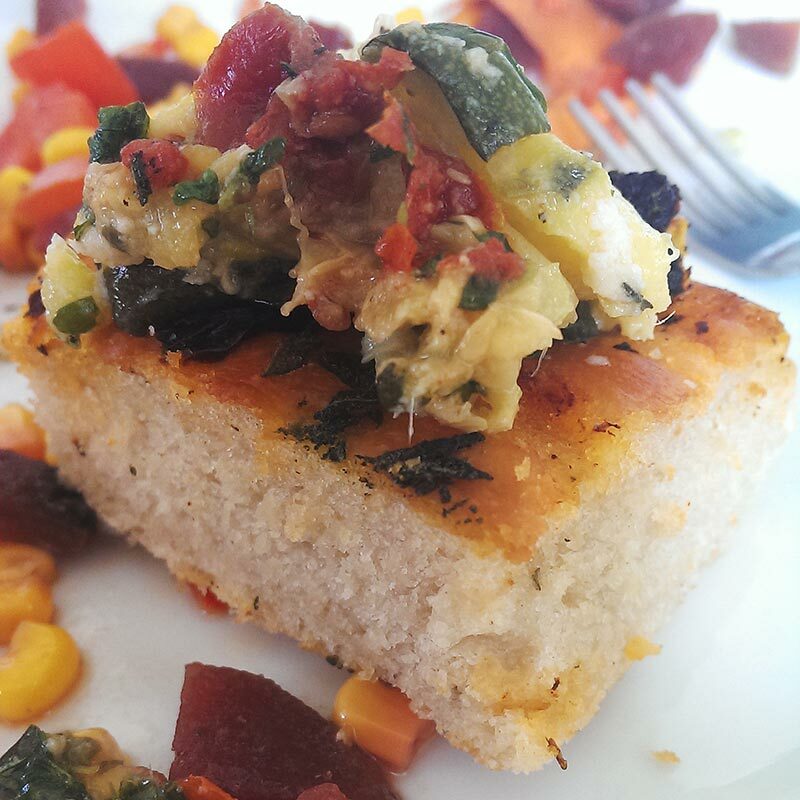 A very easy recipe, and one I intend to experiment with using different toppings. It’s so tasty, I even had some for breakfast, and then lunch!